‘The Monastic Mix’ was very much a labour of love, gradually assembled in stages, as I bounced between reel-to-reel and DAT in order to add further textures. I did it in collaboration with a young DJ from Liverpool, Matt Shannon, who was into the Trip Hop / D’n’B vibes of the time, which I really liked myself, but didn’t have any of the records (I was, as you might say, on the bones of my arse brassic back then, so I wasn’t in the position to be buying anything other than the bare essentials). We fused Matt’s tunes with mainly older stuff from my own collection for the mix, which appeared on one side of a free cassette that was given away to everyone who attended the launch of ‘The Monastery’, an experimental monthly club night on Merseyside (plus a couple of Wednesday specials at London’s ‘Mars Bar’ in conjunction with Microdot, the design company run by Brian Cannon). We made things particularly difficult for ourselves, holding the night on a Sunday, and choosing an off the beaten track venue, Stairways, a Birkenhead Rock club, to which we bussed people through the Mersey Tunnel from Liverpool, as well as attracting others from The Wirral. However, despite all the drawbacks, we somehow managed to keep things afloat for the best part of a year, enjoying some great memories and much musical mayhem along the way. ‘The Monastery’ brought together a collective of DJs and musicians who were largely disillusioned with the local dance scene – Derek Kaye, Bernie Connor, DJ Trix, Phil Jones, Desa, Girls On Top, Phil Melia, Kerry Harrison, Ciaron Bell, Matt and myself all played our parts, doing it for the love rather than money, with Martin O’Shea (who, as it would work out, went on to manage the successful girl group, Atomic Kitten) promoting the nights. 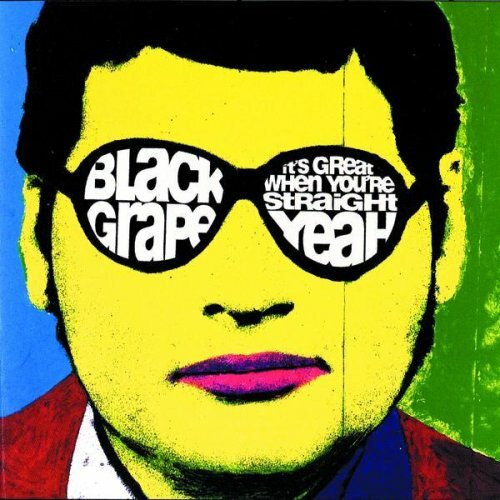 The basic premise was that we didn’t go down the four-on-the-floor path, as this was being played pretty much everywhere else at the time, concentrating instead on groove-based music from the ’60s to the ’90s. Featuring Soul, Funk, Electro-Funk, Hip Hop, Indie-Dance, Trip Hop, Drum & Bass and more, ‘The Monastic Mix’ became cult listening for many of the people who got hold of the cassette, although I’m sure that others found it a bit too eclectic for the time and never gave it a second hearing. I’ve been told that it’s quite a demanding mix to listen to, dark in places and somewhat ‘druggy’ (‘one for the heads’ being a comment made about it back then). It’s close to my heart because it reflects my state of mind at the time it was made, which was pretty turbulent. Since my production work had ground to a halt a few years earlier, I was very much in no man’s land, completely detached from the music scene and with no means of expressing myself. I was still totally illiterate as far as computers were concerned and I remember feeling old and out of touch. There were moments when I wanted nothing more to do with the music industry, being punch drunk from the knocks I’d taken during recent years, but, having never had a ‘proper job’ in my life, I was pretty much in a catch 22 situation. I had no money and no prospects, life was passing me by and I was more or less washed out creatively. Suffice to say it was a very bleak period for me. It was during this time that my friends, seeing how much I was struggling, were urging me to get back into deejaying, telling me that I could make good money by trading on my reputation of old. However, there was a big catch, which was that I’d have to decide what area of dance music to specialise in, which was an alien concept for me, having made my name playing the best of a whole range of styles, rather than just one narrow area. Thankfully (and I can only say this with hindsight) I resisted the temptation to take this option, which would have amounted to selling my DJ soul for a quick cash-in. The idea behind The Monastery was planted in my mind by my friend, Kermit, who, following on from the Rap Assassins, had hooked-up with former Happy Mondays mainman Shaun Ryder to form the band Black Grape. Just before they were about to do the final mixes on their debut album, ‘It’s Great When You’re Straight…Yeah’ (which would subsequently top the British charts), Kermit came to see me in Liverpool with a cassette of all their tracks. I was blown away with what they’d come up with, but it also served to highlight my own shortfallings. I commented that he’d done so much while I’d been wasting away at home doing nothing, but he told me that the time I was spending, in relative seclusion, with my music, books and videos, would prove to be time well spent. He likened my existence to being in a monastery – a comment that very much resonated within me and somehow gave me renewed hope for the future. The following year, when the idea of a putting together a club night was put to me, I suggested it should be called The Monastery, with the music policy and presentation completely unlike anything else that was happening, combining DJs with live musicians. When it came to putting the mix together, I wanted to reference as many of my musical influences as I could, even if it only be a tiny snippet. I managed to cram a lot of them in and I can guarantee that, even after numerous plays, you’ll still recognise new elements hidden away in there. There’s a lot of stuff going on in the detail and, listening back on it later down the line, I became aware of a definite autobiographical slant that didn’t seem so obvious then, reflecting the struggle and soul searching that summed up my life at the point it was made. A mix will, obviously, always have something of yourself within it, but this is undoubtedly more personally revealing than anything else I’ve done – there’s some kind of twisted narrative in there, and I can hear me talking to myself via some of the samples I chose (for example, when you hear the words ‘does anyone remember who I am?’, I really meant it, trapped in obscurity as I was). Even the discordant parts, the bits that jar with me now, show me exactly where my head was at. It was an important personal step for me, and I thank Matt Shannon for what he brought to the table – I didn’t have all the ingredients myself, and he was also pretty handy on the decks, so Matt was, of course, key to this. He no doubt reads it in a different way to me, but I know it has its own special symbolism for him, especially given he never followed the DJ route, and instead carved out a rewarding career working in the computer, rather than in club realm. ‘The Monastic Mix’ very much informed what I did later, especially the Teenage DJ project, which built on that autobiographical slant I’d stumbled across. Its echoes can also be heard via my use of samples in a live context – people who know my mixes from more recent times will, no doubt, recognise many of the samples I’ve subsequently used, which are spun from the same tape, but in a different context – from another time and place. I think it’s a mix that’s most conducive to a chilled-out environment (and state of mind). I might have given the impression that it’s pretty heavy-going, but you’ll find lots of familiar stuff throughout (it makes for a great game of spot the sample) and I’m sure it’ll raise a smile, and perhaps even the spirit, here and there. Greg, nice to read this post from the top (as the finished post – cheers to Gav on this one!). It’s funny how things turn out… Being a Wirral lad, going to college at Withens Lane ’95-’97, and going out to Stairways most Saturday nights for their grunge and indie nights… You’ve told me about these Monestry nights a few times, but it’s good to get the full picture from this post. 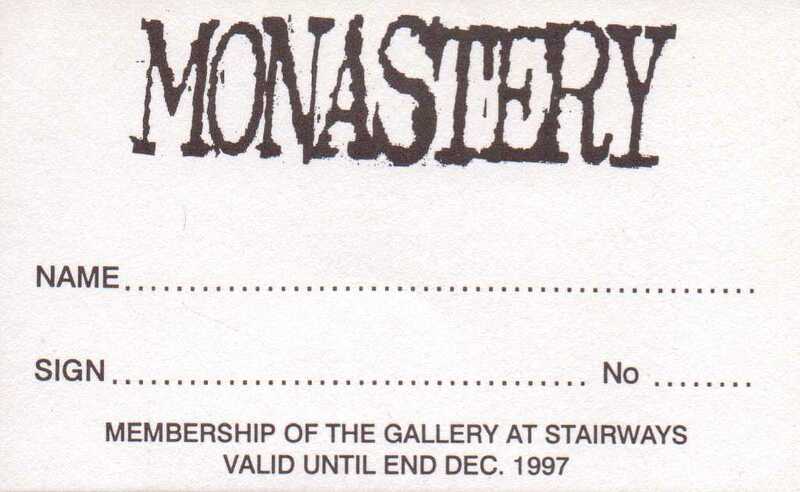 I must have just missed Monestry at Stairways due to moving to Manchester in ’97 to study at uni. It was in ’96 that I made friends with several creative souls at art college in Wallassey, who, while smoking pot every day in the common room (as if that would happen now!) – tuned me into the sounds of leftfield, downbeat, breatbeat, drum & bass, hip hop and trip hop etc. So it’s fair to say that we’d have loved Monestry had we gone, (possibly some of my old pals on the Wirral did attend). Going from the mix above, I’d have been well into the different vibes, I would have certainly treasured the cassette too. I’m fairly sure that this mix would have also turned me onto soul and funk as I was just getting into disco at that time. Although back then I was very anti-house, because it was indeed everywhere, most of what you’d hear in bars & clubs was awful! But then Daft Punk came along and changed my outlook for 4×4 beats completely. Anyhow, moving to Manchester certainly put different spins on things for me, and my ears continued to open to many new sounds, eventually discovering your work both past and present via the Electric Chair, so eventually our paths crossed. G, cheers for your 200 posts, it’s been a privilege contributing through editing the images and discussing posts prior to publishing. You are a big inspiration to many of us, and I’m sure many people really appreciate you telling it all straight up, whether issues are contentious, or personal. As always, I look forward to your next post. Was having a chat with another Wirral mate about this last night, and it blows my mind a bit that Greg was active as a DJ at a time when I was very much in my clubbing “honeymoon period” and, though I didn’t go there, Stairways was very much on my radar as many school and band mates were regulars. Listening to the mix now, and of course I love it. Greg, is there a finite set of tape samples or are you still adding to your collection? Hi Bryan – always adding when I get the time to edit up new bits.